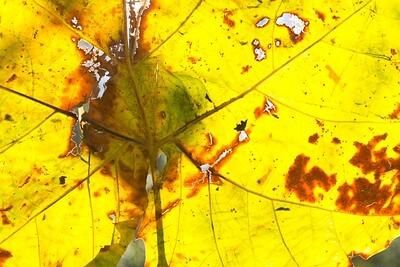 Perhaps the most interesting in Autumn, leaves can be full of vibrant colors and endless patterns. 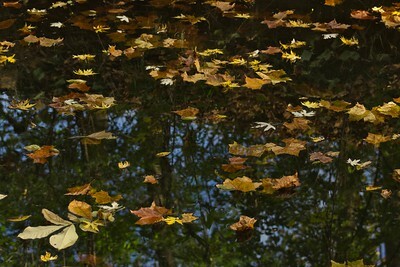 Informally called "leaf peeping," I seek to travel around to capture the changing colors. 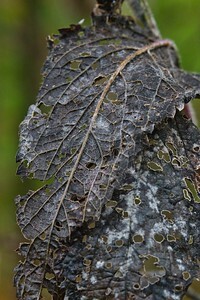 Each individual leaf can tell a story of its life. 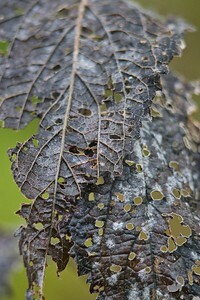 Full of holes, mottled with color or speckled with patterns. There are a myriad of ways to portray their looks. Russ Nature Reserve, Beavercreek, Ohio "Nature is stronger than all human priorities.” - Marty Rubin This is a sprawling abstraction of fallen red deciduous leaves towards the end of Autumn. 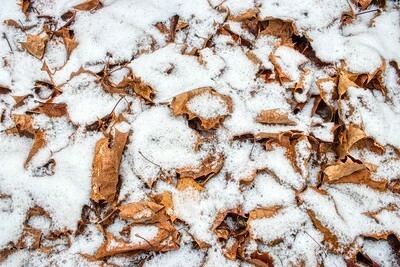 Gently placed underneath a nearly bare tree by this point. 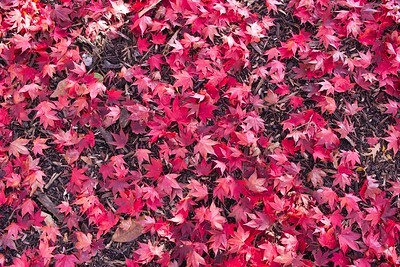 The leaves were neatly placed in a perfect circle around the trees circumference. 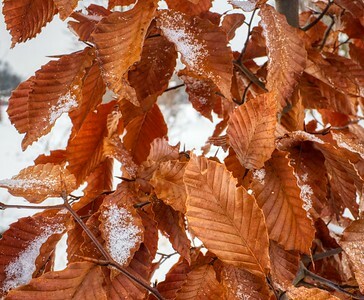 The middle of Autumn sports the best colors that nature can offer. A week before this photograph, the colors and layout would be all too different. 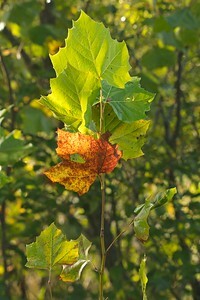 A week after and the leaves would turn brown with decay. I would consider this a pretty early photo in my backlog, and one of my favorites still. The bright colors and repetitive patterns (in a good way) make this photo work. 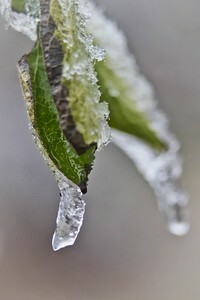 Some images are just begging to be printed large! © 2017 Ryan L. Taylor Photography. All Rights Reserved. Koogler Wetland Prairie Reserve, Beavercreek, Ohio A sprawling canopy of leaves during midday light. © 2017 Ryan L. Taylor Photography. All Rights Reserved. Koogler Wetland Prairie Reserve, Beavercreek, Ohio © 2017 Ryan L. Taylor Photography. All Rights Reserved. Beaver Creek Wetland Nature Reserve, Beavercreek, Ohio © 2016 Ryan L. Taylor Photography. All Rights Reserved. Russ Nature Reserve, Beavercreek, Ohio © 2017 Ryan L. Taylor Photography. All Rights Reserved. Russ Nature Reserve, Beavercreek, Ohio "Everything in Nature called destruction must be creation - a change from beauty to beauty.” - John Muir Do you ever have a shot that you've envisioned for a long time? You simply yearn for the day to find it? This is one example for me, and of course I took the idea and ran with it the chance I found it. 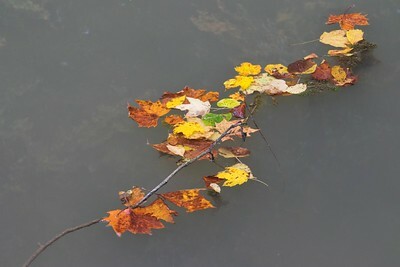 Taken near the end of autumn, I walked up to the little pond situated by the parking lot to see it covered in the colorful leaves. 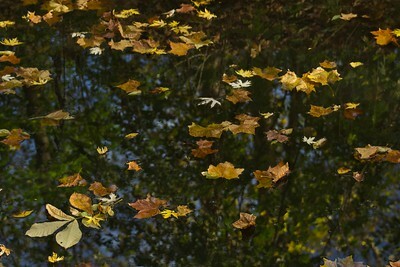 The tall standing trees that surround the pond blew their leaves off as they fell one by one. My "vision" came to life and I was ready to capture it on camera. Using a circular polarizer filter, I experimented with including reflections of the trees in various amounts. 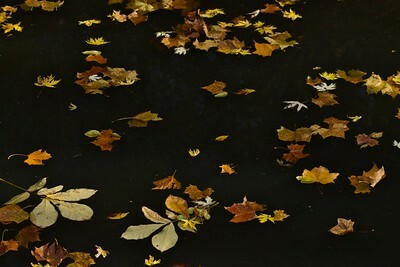 I have a handful of images with one showing no reflections at all: just simply a black abyss with which the leaves are floating on. This particular exposure is the one with the most reflections to create the story. 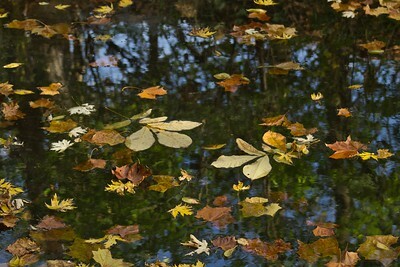 That added detail for me implies that the leaves came from the trees seen in the reflections. That almost intimate connection dramatically improves the already abstract and pattern like image. On all of my photo ops, I keep a pocket notepad with some basic doodles of shots I have previsualized. I'd highly recommend the same for other creatives. If you have an idea that you wanna "sit on" for a while, go for it. I know my brain is always bouncing around with them. You never know when you stumble across the pre-vision in real life. © 2017 Ryan L. Taylor Photography. All Rights Reserved. Spring Lakes Park, Bellbrook, Ohio © 2018 Ryan L. Taylor Photography. All Rights Reserved. Cox Arboretum Metropark, Dayton, Ohio © 2018 Ryan L. Taylor Photography. All Rights Reserved. Creekside Reserve, Beavercreek, Ohio Besides some minor post processing enhancements, this is what I truly saw. Creekside Reserve is a personal favorite location of mine a stones throw away from my house. This is truly where my photography took root. I got up early enough to try out a sunrise shoot but didn't land a good enough composition in time. 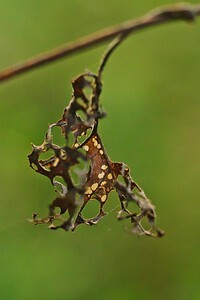 To switch gears I started using macro and small telephotos to find other subjects. 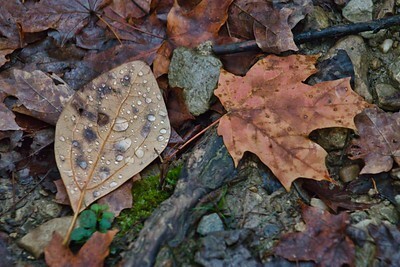 Taking a trek through the humid and dewy morning trails found me gawking at this small leaf. Dancing and spinning in the light peeking through the woods, I used a fast shutter speed to freeze the movement. 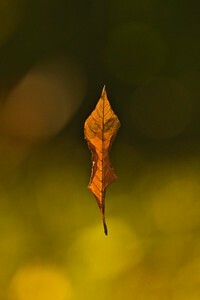 Rendering it a static floating leaf, I used a shallow depth of field to blur the background and put all attention on the subject. I knew the results then and there were unreal. 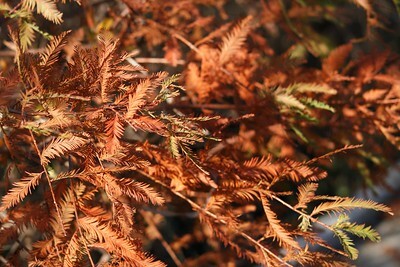 The glow on the sunlight revealing the viens and structure of this small but intricate plant. The mustard colored bokeh background being a nice complimentary color to the orange leaf. 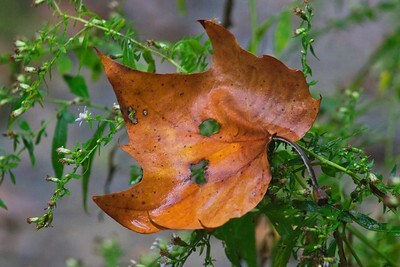 The way the leaf is curled as if almost in a slow dance, weaving it the air. 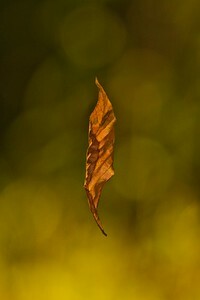 Suspended in free fall. Something about this image puts me at ease. I took many images that day but this was perhaps the least expected. Naturally it was a moment in time that could never be replicated under these same conditions. © 2018 Ryan L. Taylor Photography. All Rights Reserved. Carriage Hill Metropark, Dayton, Ohio "Nature is an unlimited and unconditional source of inspiration...” - Petur Krustev No desaturation or split color toning necessary! 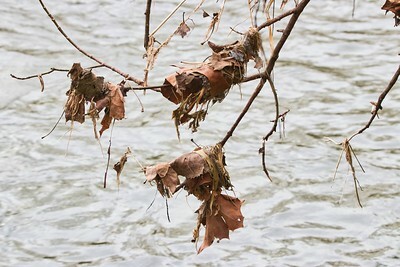 This evolving and decaying stem of leaves by the pond instantly caught my attention. 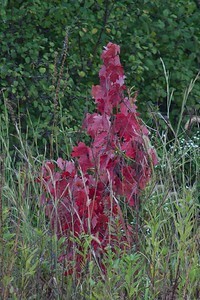 From one leaf to the next, it was so strange to see this still surviving patch of leafy reds when the surrounding ones haven't fared so well. The image was taken on a moody and cloudy day as I dodged several small rain showers. 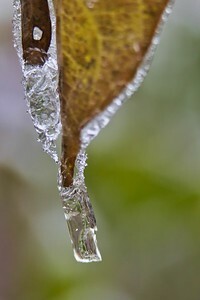 I also had to use a fast shutter speed to combat the light breeze shifting this lone branch around. 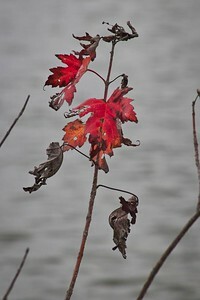 A medium sized pond as the background, the greys surrounding the red leaves make this an exercise in high contrast. The best part is that I didn't have to edit it to appear that way. Some of my favorite moments in nature are the quiet, less celebrated ones such as this. Not only capturing a specific moment in time but also displaying something that looks unnatural. 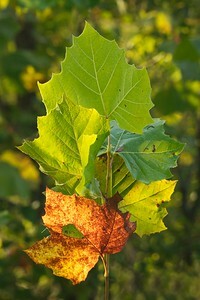 The process as leaves rot away only to fall off their stem, one by one. © 2018 Ryan L. Taylor Photography. All Rights Reserved. Beaver Creek Wetland Nature Reserve, Beavercreek, Ohio © 2018 Ryan L. Taylor Photography. All Rights Reserved. Eastwood Lake, Dayton Ohio © 2018 Ryan L. Taylor Photography. All Rights Reserved. Cox Arboretum Metropark, Dayton, Ohio "Colors are light's suffering and joy” - Johann Wolfgang von Goethe Cox Arboretum features a diverse set of habitats and features, from a spectacular tower to climb and overlook the whole area, to prairies and deep woods. A permanent waterfowl blind is set up near a small pond to view from (or in my case to photograph.) Not only that, but that dazzling array of wildflowers that bloom in the gardens every spring and summer. Along with the color coded trails, there is something for everyone to enjoy. 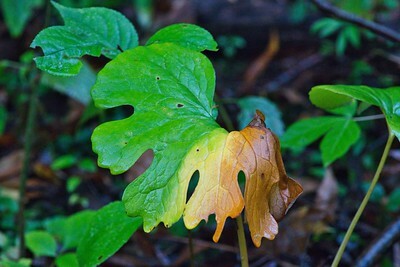 Towards the end of the day, this single subject caught my eye along the wooded panoply of leaves and other objects. Quite the simply the calm and still nature of the arrangement interested me. I did nothing to manipulate the leaves, this is as candid as it gets. 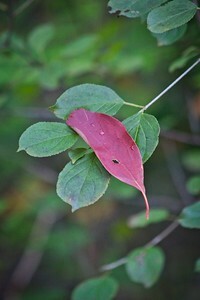 To top it all off, the contrast of the red leaf against the greens is a nice touch. This image feels right at home having a motivational quote at the top. What would you say? 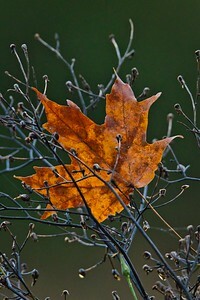 Like a leaf unwilling to fall, refusing to grace the ground like the others. A defiant attitude of never giving in or never giving up. We should all aspire to be as such. © 2018 Ryan L. Taylor Photography. All Rights Reserved. Karohl Park, Beavercreek, Ohio © 2018 Ryan L. Taylor Photography. All Rights Reserved. Sweet Arrow Reserve, Sugarcreek Township, Ohio "Life is not measured by the number of breaths we take, but by the moments that take our breath away." - Anonymous When there is more moisture in the air, it condenses on everything. 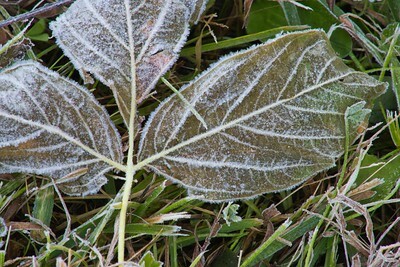 That is when frost is delicately coated in a layer like this stem of leaves. 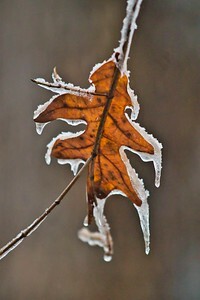 Taken during an early morning cold snap, when frost and and biting temps sting. The end result was all worth it. © 2018 Ryan L. Taylor Photography. All Rights Reserved. 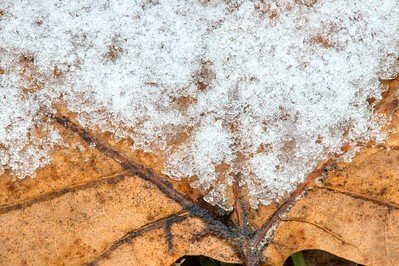 Sweet Arrow Reserve, Sugarcreek Township, Ohio The bitter cold bites, but this frost stricken leaf has captured all my attention. I almost stepped on this and could've walked over it. However, for 45 minutes my full undivided attention was given to it. 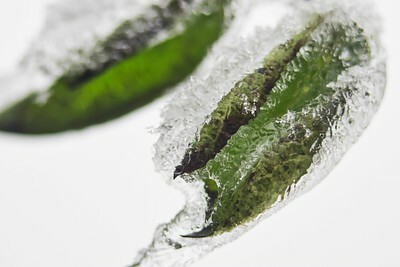 Having freedom to experiment, using different lenses and an extension tube to portray in different ways. I almost walked right over this one, as in I literally almost crushed and ruined the beautiful untouched look of this stem of leaves on the ground. I probably spent close to 45 minutes photographing this with my full undivided attention. 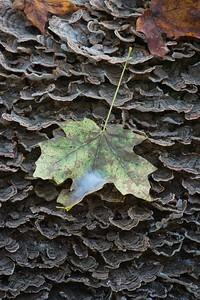 The best details in an environment can come from the smallest pieces such as this image. 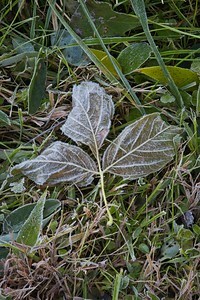 And Autumn is the best time of year to photograph frost and dew. © 2018 Ryan L. Taylor Photography. All Rights Reserved. Buck Creek State Park, Springfield, Ohio “I only went out for a walk and finally concluded to stay out till sundown, for going out, I found, was really going in.” - John Muir Something about this image makes me laugh now. Let me explain, I had been anticipating photographing the massive lake at Buck Creek for a while and finally made the day's drive up north. While I did get some gorgeous lake sunset images in later on, this happened to be the first subject that caught my eye. I drove all that way for some grandiose and expansive landscape shot. Yet only to be enamored by what would honestly be an image that could've been taken anywhere. For example some landscape photographers take flights and travel the world just to end up capturing an image of a rock. This sounds silly on paper but I guess it's just the nature of what we do.. I arrived early afternoon as evident by the overhead midday sunlight here. 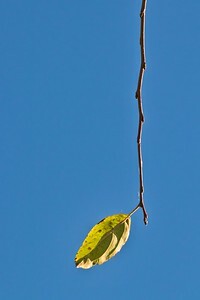 That crisp solid blue sky really provides a nice contrast to the tiny yellow/green leaf. 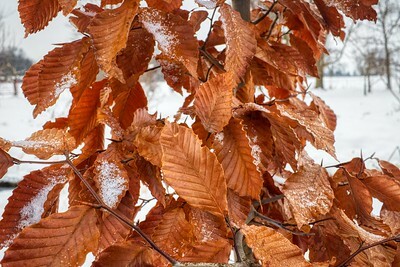 The small amount of sidelight on the branch adds depth as well as the shadows interjecting down the middle of the leaf. To make the shot, I had to lay flat on my back and look up. I intended on a vertical composition to exaggerate the branches' longevity. 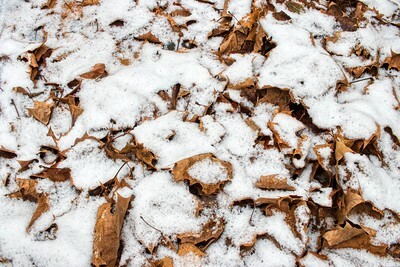 Leaves are a subject that never bores me! The diversity they bring in such a small single subject really enhances my entire portfolio. © 2018 Ryan L. Taylor Photography. All Rights Reserved. 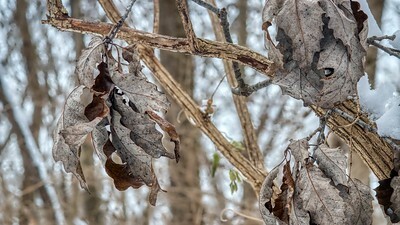 Huffman Metropark, Dayton, Ohio © 2019 Ryan L. Taylor Photography. All Rights Reserved. Ellis Park, Yellow Springs, Ohio © 2019 Ryan L. Taylor Photography. All Rights Reserved. Glen Helen Nature Preserve, Yellow Springs, Ohio © 2019 Ryan L. Taylor Photography. All Rights Reserved. A sprawling canopy of leaves during midday light.